Cranmore Park Conference and Exhibition Centre in Birmingham, West Midlands is an events venue like no other. Set in the heart of the Midlands with convenient road, rail and air links, it is the perfect location in which to hold your next event. A stylish and modern venue with airy open spaces it can host local, regional or national meetings and events in its first class facilities. It is a great alternative to conventional hotels within the area and more personal and flexible than other local venues. 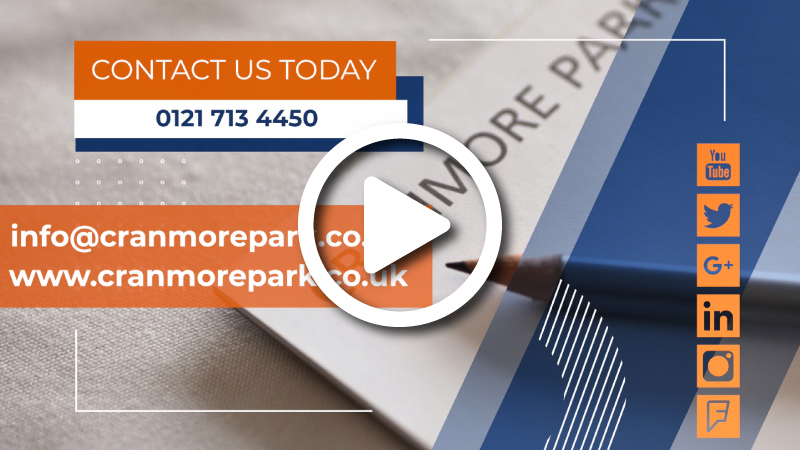 Cranmore Park has been developed by specialists in creating successful exhibitions and events. Excellent in-house planning will ensure the space you take is tailored to your individual needs and budget and you can rely on our support team experts to work hard to ensure you stage a successful event. An independent and privately owned business, Cranmore Park is a purpose built venue for exhibitions, conferences, meetings and training courses. Built over two levels incorporating two main exhibition showrooms, two large conference rooms and seven boardrooms, Cranmore Park has successfully been hosting a wide spectrum of events for several years with many clients returning time and again. Our large on-site car park is free of charge, it can currently hold up to 220 cars plus an overflow Car Park B that takes capacity up to 400 in total. The Independent Toy and Gift show has become a firm favourite in the toy and gift buying calendar. This trade show offers a unique buying experience, with new products, ranges and surprises at every turn from traditional toys, to the latest gadgets and gizmos. This June, The Food and Gift Show is preparing to open its doors to welcome all independent buyers from across the UK, all of whom are keen to experience the one-of-a-kind environment of this buyer-focused show. The team had calls with us before the visit which worked really well and helped us build a good relationship. Easy to find thanks to directions on website and parking very good as agreed in advance. After last year we were able to develop the conference further and the team at Cranmore Park could not do enough to facilitate this. The Cranmore Park team were excellent at both set up and clear down as well as at the conference itself. The conference was a great success helped by the team at Cranmore Park who could not do enough to help! Enter your email below to receive info on special offers, news and upcoming events. A lot of attention is paid to how exhibitors can make the most out of their trade shows, but people often forget that it is not easy to be an attendee either! As soon as you arrive you will be greeted by dozens of stalls, all trying to attract your custom with the many weekend deals they have on.